Live music night kassi's choice. Thursday is the best day for going out with friends. At a walking distance from the bustling weekend, it is the day of the week that is offered for more quality entertainment in a cozy bar that is InterNations member's kassie's choice where everyone has the comfort of relaxing, expressing and really communicating. 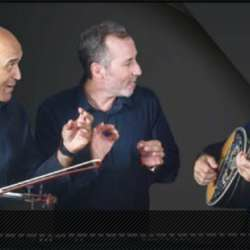 On the small and loving stage of the Protected content Thanos Giouletzis with the magic violin, Achilleas Sofoudis in the piano in love and the Persa Milia with their special voice and stage presence, communicate through their songs the need for companionship and love. 5 days prior to event and if you are coming in the monthly event you can reconfirm it there.